Every six months for more than two decades, U.S. presidents have had to decide all over again whether to move the U.S.
embassy in Israel from Tel Aviv to Jerusalem. 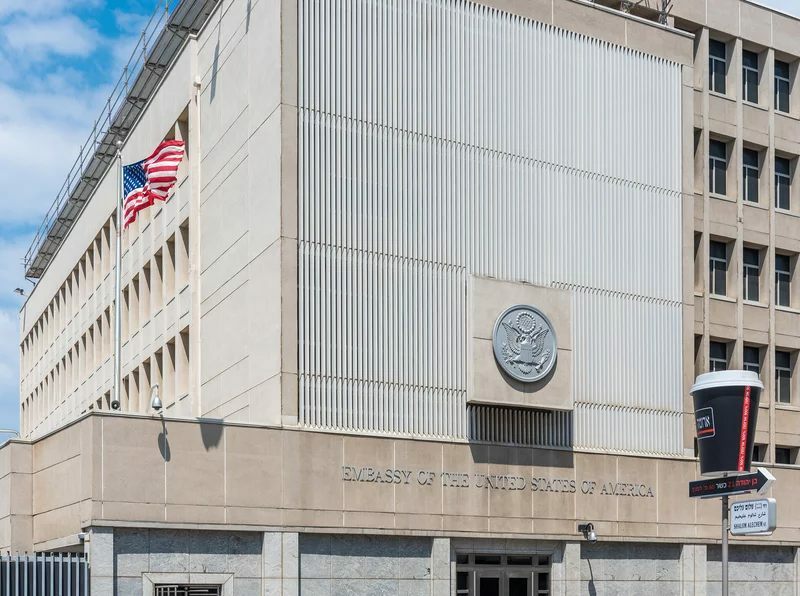 Since the Clinton administration, they decided each time to keep the embassy where it is, seeking not to throw a wrench into delicate Middle East peace talks. On Tuesday, however, after signing a waiver putting off the move in June, President Donald Trump informed the Palestinian Authority’s President Mahmoud Abbas that he’s going to recognize the contested holy city as Israel’s capital and begin the process of moving the embassy there. The reasons why such a waiver might be needed are not much different today than they were in 1995. The city’s status has been an open question for decades. The intent of the U.N., when it voted in 1947 to partition what was then British-administered Palestine into Jewish and Arab states, was to put Jerusalem under an international regime. But after the Arab-Israeli war of 1948, newly born Israel controlled the western portion of the city and Jordan the east. In the 1967 war Israel captured the eastern sector and annexed it. No country, however, recognizes Israel’s hold there. The Arab states insist on Arab sovereignty over at least East Jerusalem, which the Palestinians want to make the capital of their hoped-for future state. In 2017, the potential consequences of recognizing Jerusalem as the capital remain the same: the risk of sparking protests in the Arab world and jeopardizing the standing of the U.S. as a broker in coming peace talks. One thing that’s different about 2017’s political climate, however, is that there’s “a window of opportunity that didn’t exist before,” as Israel’s ambassador to the U.S. Ron Dermer explained to Politico, for the two sides share security concerns about Iran. Whether that view holds true remains to be seen, but peace talks are planned for early 2018.